Working women who are always on the run would find the Lakme Complexion Care cream a total savior. It comes in a tube packaging with a screw cap, which gives the right amount of product. It is a lightweight, non-greasy cream, which gives an even skin tone and moisturizes the skin for long hours. It is infused with SPF 30 PA+++ that would protect your skin from harsh UV rays, also it has brightening properties that will give you the perfect glow for the day. So when you use this cream, you can skip the sunscreen and foundation. It comes in two different shades (Bronze and Beige) that are sure to match your skin tone. This product is perfect for all skin types, we highly recommend this for normal-combination skin type. Are you looking for subtle shade lip liner? 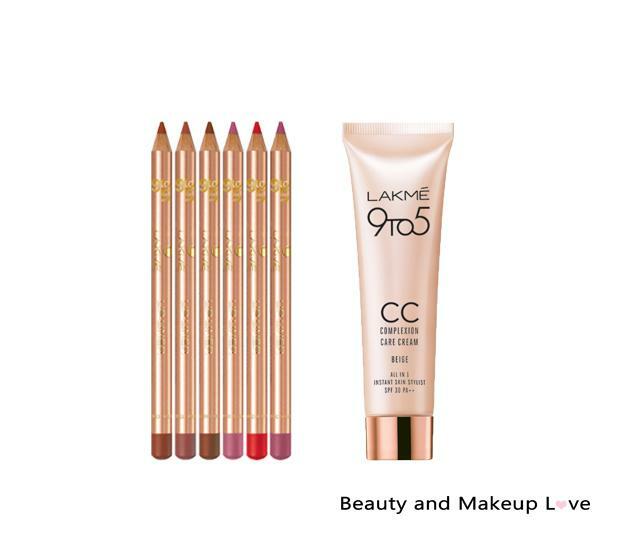 The Lakme pampers you with amazing 9 to 5 lip liner that are a must buy. The lip liners comes in 6 different shades – Red Alert, Pink Brush, Fine Wine, Brick Rose, Board Room, Beige Pink and each of the shade are flattering on all skin tone. The 9 to 5 lip liners are highly pigmented, glides on easily, has a long-lasting formula, waterproof and gives a satin finish. For the price this lip liner is a catch! You can check swatches of all the shades of Lakme 9 to 5 Lip Liners Here. Ever saw your mom owing a Lakme lipstick? Well, we are sure, everyone’s mom must have had at least one Lakme enrich satin lipstick and this lipstick is just a revamped packaging of those old Lakme enrich satin lipsticks with an improved formula. From formula, texture to the packaging and efficacy, everything is stunning about this new collection. It comes in a silver packaging with a transparent cap. It is formulated with olive oil extracts, Vitamin E that hydrates the lips whereas the lipstick is easy to apply and stays for 4-5 hours. The coolest part about the lipstick is that it comes in more than 35 shades that would complement every skin tone. Hands down to the best compact that we have come across, Lakme Absolute Wet and Dry Compact is a sheer winner and we bet you will fall in love with it. The compact packaging is luxurious, it comes in a black mirrored pan with inbuilt mirror and sponge applicator. The product is a holy grail, it is a multipurpose product as you can use this both as a foundation and a compact. It is lightweight, oil free compact that blends easily into the skin, brightens the skin and gives a matte finish that lasts all day long. The formula is amazing, it is enriched with hyaluronic acid, Vitamin B3 and SPF 17 that is just perfect and healthy for the skin. It comes in 6 different shades (Almond Honey, Beige Honey, Golden Light, Golden Medium, Ivory Fair, Rose Fair) and we recommend this for normal-oily skin type. The only con is that if applied heavily it can turn your face cakey or patchy. Every makeup product belonging to the Absolute range is par excellence and this foundation is one of the best products from the line. The packaging is super classy, the foundation comes in a metallic bottle with a hassle free pump dispenser. The foundation comes in 4 different shades – Ivory Glow, Honey Beam, Natural Flare, Beige Glimmer. Coming to the texture, it is a liquid foundation that is perfect for normal-dry skin beauties and is infused with shimmer that gives a dewy finish to the skin. The good thing about Illuminating foundation is that it provides medium coverage, hiding all the flaws and skin imperfections and we love the part that the foundation lasts all day long! The only con is that they do not have shade for the deeper complexion. This is one of the best kajal in India and we are smitten by its stunning results. The kajal comes in a long pencil with a smudger at the other end, which you can use for creating smoky eye makeup. It has insane pigmentation that lasts for more than 14 hours, also if you are looking for a jet black kajal then give no second thoughts in buying this. As it has moisturizing ceramides it glides on the eyes smoothly and doesn’t irritate the eyes at all. 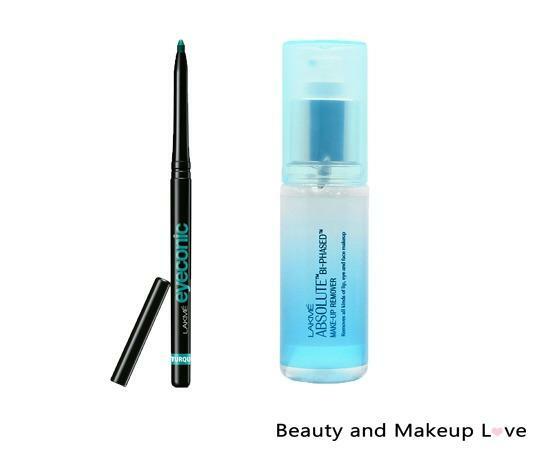 So if you are looking for a dramatic and bold eye look, then this is the go-to kajal. If you are a newbie or a makeup junkie, Lakme 9 to 5 eye quartets is a must have product in your kitty. It comes in 4 different shades – Desert Rose, Tanjore Rush, Smoky Glam and Silk Route. Each quartet is fabulous and you might get confused about which palette to pick. Each eyeshadow palette comes in 4 flattering shades and a double ended sponge applicator. The shades have high pigmentation and are super easy to blend. You can use this for all occasions and it is perfect for Indian skin tone. 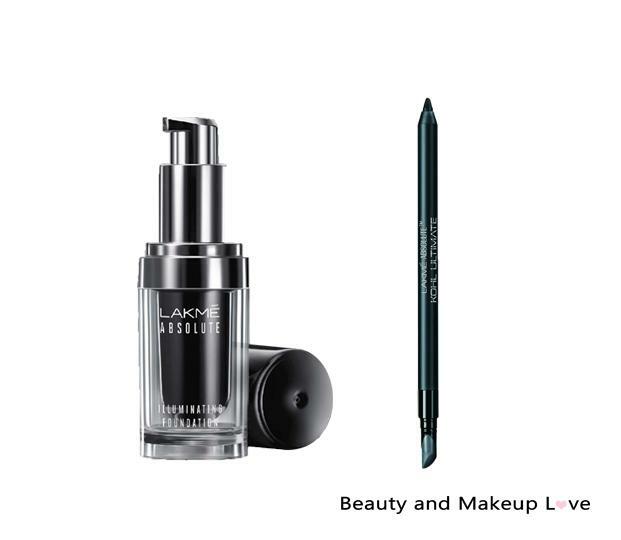 Another best-selling Lakme product is the eyeconic kajal. It comes in a retractable stick with no headache of sharpening the kohl pencil. The kajal comes in 6 different shades and has the creamiest formula which is smudge proof, waterproof lasts for 7 hours and gives a matte finish. It is safe for sensitive eyes and the best part about the kajal is that it brightens the face instantly. 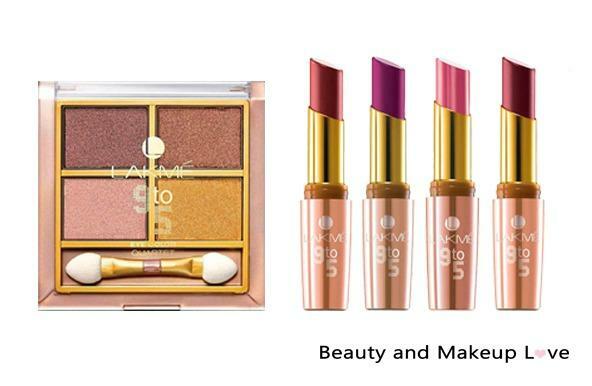 The wow factor is the price and we totally recommend this to every makeup junkie girl. Looking for a gentle but effective makeup remover? Then get your hands on the fabulous bi-phased makeup remover from the Absolute line. It comes in a transparent bottle with a pump dispenser. The uniqueness of the makeup remover is that it is a fusion of oil and water and effectively removes all the traces of makeup and is super gentle on the skin. 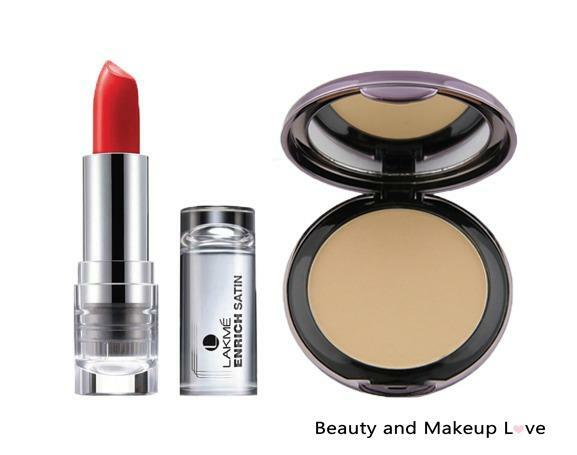 You need to shake the bottle to activate the formula and then use it to remove the stubborn eye makeup like a pro. Your skin will feel rejuvenated, hydrated and squeaky clean. 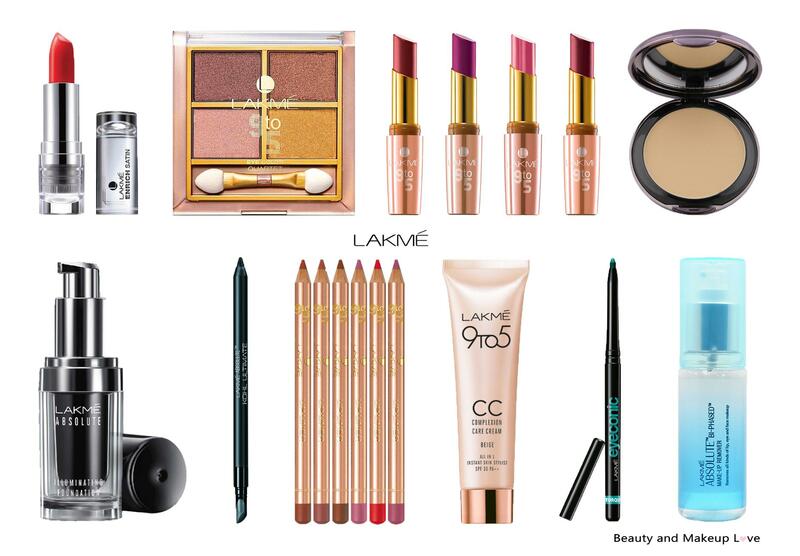 These top 10 products are perfect to build a Lakme Makeup Kit for a bride-to-be or for a starter/beginner! Do write in your favorite Lakme makeup products in the comment below. Every product is amazing! Nice compilation. Previous Previous post: Best The Body Shop Skin Care Products: Our Top Picks!